What does it mean to be an Advanced Yogi? Us humans appear to be somewhat obsessed with the notion of progression. Well I certainly am! I love to think that I’m progressing and achieving goals, and I think I’m not alone in this. But the idea of goals is a tad troublesome when it comes to yoga. As you know, yoga is, in it’s nature non-competitive. We’re not meant to compete with each other, or ourselves. But humans being humans love to compete with ourselves and we love to ‘progress’ our practice. And usually, that progression is taken to be the ability to perform ever more tricky poses. You’ll have seen we have Beginners, Improvers and Advanced classes on the site. And it’d be logical to think that we ‘progress’ through these phases. But it ain’t necessarily so! Some bodies will never be destined for some poses. And other bodies manage to slip, fairly easily into the knots required for Intermediate/Advanced, but these folks are fairly new to yoga. These bodies might be more fit and limber, with proportions that help yoga poses, or maybe the practitioner has a gymnastics or dancing background so can more easily find the poses. But we must remember that, wonderful that these poses are to look at, and tempting as it is to imitate these bodies, that isn’t yoga! So what is yoga, then, if it’s not the ability to bend, stretch and flex? Well, yoga is a little different to gymnastics or cirque de soleil. Yoga is a search for unity. It’s when on a physical level, the body, breath and mind quiet and work as one, and on a spiritual level, when you realise the existential truth that we are all one and that separation doesn’t exist. That is yoga. And advancement is really, purely on the basis of your spiritual practice towards that goal. If advancement in yoga were in the attainment of poses, we would just be collecting gymnastics awards. Got a body? Can breathe? Yoga is for you! How to guide people through the site, making it clear that beginners to yoga would be unsafe to try trickier poses if their bodies aren’t used to moving with the breath, whilst enabling those who are fitter and stronger to be able to challenge their physicality. But I’ve been pondering these categories of ‘Beginner/Improvers/Advanced’ for a while and the more I ponder, the more I dislike them. 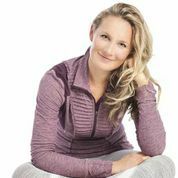 After all, when I was new to yoga as an 18 year old, I could do many ‘advanced’ poses – my body was naturally bendy, long limbed and willowy, of course an ashtanga practice called, and almost seemed easy. Now that the decades have rolled on, I appreciate a ‘beginners’ class! I love to move with a much more refined breath and slower pace. I feel that with a slower yoga class, I am able to achieve my ‘yoga’ much more easily than a faster paced vinyasa flow. But yes, some days I find something feisty is called for, that my body is just longing to stretch. But I wouldn’t call my shapes advanced, it’s just that the pace and shapes are what’s needed when I’m feeling more feisty. I don’t know about you, but I tend to recoil at teachers who say ‘if you practice you’ll achieve x pose’. Well, why is it always a good idea for my body to achieve x pose? Not all poses are suitable for my body. My body holds past injuries and has a history and I just don’t want to push into certain poses. But that’s just me, my body, today. And in any event, the teacher may be wrong that your body may not ‘advance’ in the way that they think, simply because this flesh and blood is very fragile and anything can happen along the way! Whereas the spirit the mind – well that really can progress, no matter if we are caught in a car crash tomorrow, that yoga practice can continue. And that’s the point of it all. All of our bodies are quite different and have very different needs. If you practice more gentle yoga, it may be a sign of an advanced, not a beginner practice. And those who need to practice yoga as a workout have more of a beginner’s mind. It’s all a bit topsy turvey. It has to be said, I think that practicing Yin Yoga is a sign of a very advanced practice! What I’d love to do would be to re-define our categories in a way that folks can understand that beginners classes aren’t for beginners and advanced classes aren’t for the advanced. But the question is – would a complete beginner understand beginners by any other name? Intermediate is good for those who want to up the ante a little. And I think that Level 3 or Advanced classes are for those who are looking for something feisty on that day and whose bodies are injury free, strong, healthy and are used to practicing yoga for a few years or more. But the conundrum of the human need for classification continues. Just remember not to take them too seriously. We’d love to know your thoughts! This post was written by our fabulous founder, Kat Farrants. This entry was posted in Inspiration // Empowerment and tagged advanced yoga, advanced yogi, what is yoga, yoga for all, yoga for everyone on April 7, 2017 by Edith Johnson. I get distracted by the labels myself and not just in my yoga practice. I was a complete novice when I started using MFML and I found the beginners challenge very useful from the point of view of learning the basics. I was particularly worried about correct placement and alignment to avoid injury. 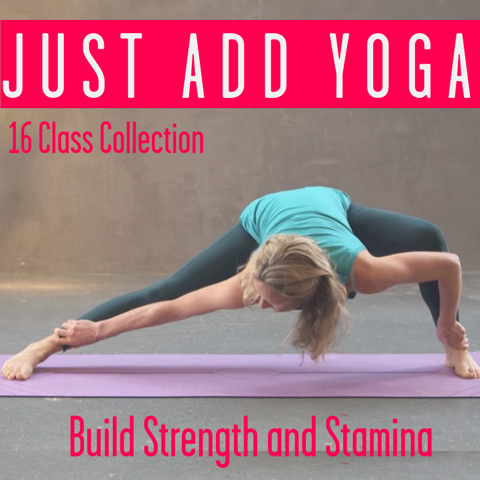 As an alternative to the ‘beginners, intermediates, advanced’ labels maybe it would be useful to collate all the basic/introductory videos (Beginners 1,2,3 etc) into a section labelled ‘Introduction to yoga’ or something similar. Then the rest of the videos could be labelled according to depth of practice, if that makes sense. I think if the peak poses are mentioned in the description for each video along with a modification recommendation for less experienced practitioners there would be a reduced need for levels in the traditional sense. I think the danger with removing the labels is that some people (like me haha) get frustrated when they suddenly come up against something overly challenging that was unexpected. But I do often flick through the video anyway before practice to check that out. Sorry if this is a bit rambling, just my two cents. This is a very interesting question. It made me realise that I never chose a video on MFML based on Level. I tend to focus on emotion or benefit (and favour 30-minute classes!) When I started yoga I did a foundation course to get to grips with the basics and I agree with Nicola above that there should be some clear provision on the website for the complete novice. But I would welcome replacing Levels with Energy levels instead! Or you can, of course, remove the category altogether! I find too that the more I practise yoga, the more I favour classes with a mental rather than physical focus. I totally LOVE your idea of “fiesty” to describe a more physical practice, as opposed to a more cerebral one. Whilst teaching I constantly feel I need to remind students that just because someone is more flexible or strong, or has a background which means they have a physical advantage in achieving certain poses (or indeed is just more biomechanically lucky), this doesn’t mean they are better at yoga. In fact, maybe those people who struggle a little more with the physical asana are sometimes the ones who really “get” yoga more quickly rather than just using it as another gymnastic tool to beat their body with. I think the idea of specifying the energetic focus of a class is a fab one (and yes, listing the peak poses and whether there are modifications is a great help on the videos) and would help people to understand its accessibility for them. Accessibility is one thing, appropriateness for the particular moment is something else. It might also encourage people to understand that a more physically challenging practice may sometimes be right but that a truly advanced yogi knows when to change to an “easy” physical practice, whether that is for a day, week, or longer. By the way, I am a very grateful user of your site – love the videos, the teachers, your blog but I very rarely say thank you other than to my computer at the end of class. So THANK YOU for all your hard work and inspiration, it is very hugely appreciated. Aw, thanks so much. It really does make my day in every way to hear that you love the site. Thank you so much, it makes all the hard work worthwhile. Truly, thank you so much! A friend was talking today about a distinction used at her school for the children in terms of levels. They use a “spiciness index” of mild, moderate, fairly hot. Thought of you when I heard it!